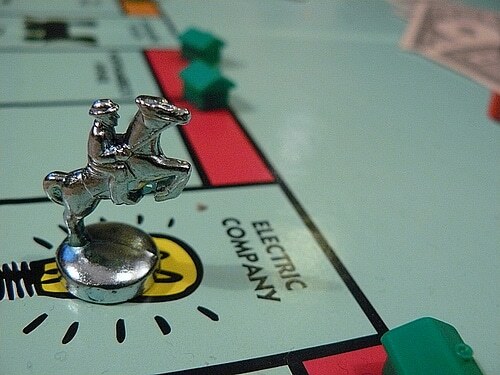 Recently, a friend shared a post with me from Business Insider, entitled How To Use Math To Crush Your Friends At Monopoly Like You’ve Never Done Before. This BI presentation deck by Walter Hickey, which analyzes the mechanisms behind the popular board game Monopoly, was especially interesting for me, as I had done a similar, though much more rudimentary, analysis of the game many years ago as my 6th grade Science Fair project. Once a geek, always a geek, right? The Railroads Rock: Buy Em. Boardwalk and Park Place are for Poseurs: You may impress the proletariat, but unless you have more money than you can spend, these properties are low ROI investments. While I nailed several of the game’s key WHAT truisms , I fundamentally missed some/most of the basic mechanisms around WHY these rules worked. In hindsight, the roles of Jail, Chance and Community Chest seem pretty obvious, as does the fact that 2 dice are most likely to role a 7 (or a 6 or an 8), but I missed the contributions of those factors altogether. Analyze This: Measurement and analysis of any business process / business situation is the only way to understand and improve it. Causality Matters: Things don’t just happen. They happen for a reason. The violet and orange properties aren’t just popular because they are pretty, they’re popular because ex-convicts are more likely to sleep there on their first night out of the slammer. Once your analysis shows something definitive, make a hypotheses or two about WHY this is happening, and then run some experiments to test your hypotheses. You Don’t Know What You Don’t Know: For most people, it may seem obvious that due to their exorbitant rents, Boardwalk and Park Place should be the most coveted spots on the board, right? But until you analyze this assumption, you won’t realize that it is an erroneous one. Data talks, B.S. walks. Understand How To Get From One State To The Next: While you don’t need to have a PhD in Quantitative Methods or a deep knowledge of State Diagrams, it’s helpful to be able to break down a business problem using a sequential “If we do this, then they might do that” type of mentality. If you can break a negotiation or a product introduction problem into a 2 by 2 or 2 by 3 matrix and assign some relative probabilities to each of the cells (even if they are only educated guesses), it may help you decide which path has the highest expected value. Statistics Is the Most Valuable Course You Will Ever Take In School: I’m a degreed Electrical Engineer with an MBA, but the coursework which has served me well the most frequently throughout my career is statistics and probability. It has been applicable in so many different scenarios and a mastery of how to use statistics properly to make educated decisions has been invaluable. 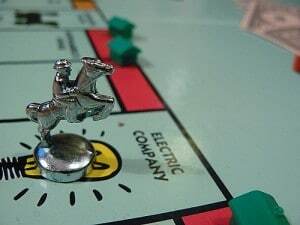 I realize that it may seem a bit simplistic to compare business to a board game,but keep in mind that they are both just games, it’s just that one just uses real money.